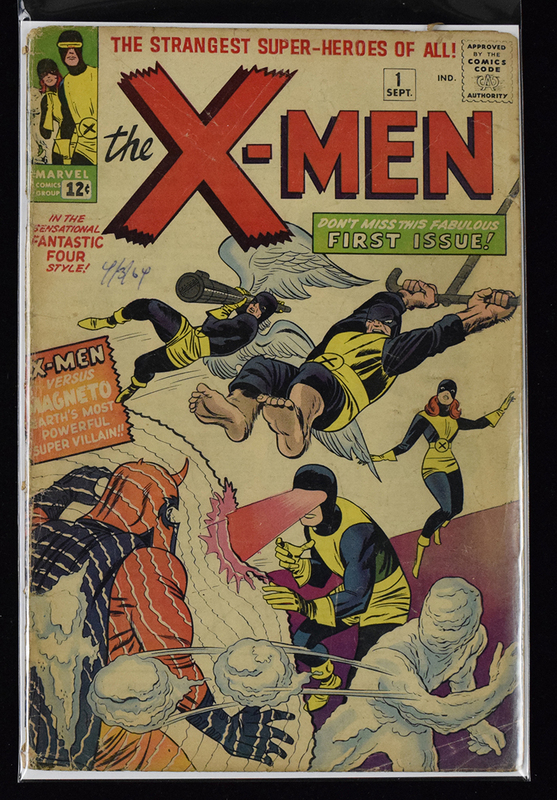 Description: "X-Men" issue #1 Comic Book - Desirable Key Issue (Marvel, 1963) (VG-) 1st appearance of Professor Xavier, Cyclops, Jean Grey, Angel (Warren Worthington III), Beast, Iceman, and Magneto. Issue remains intact with off-white pages. Exhibits corner wear, edge wear, and scattered creasing on the cover. There is a vintage date notation of "4/3/64" written in blue ink on the cover. Displays well overall and grades VG- with note to the vintage ink notation on the cover.